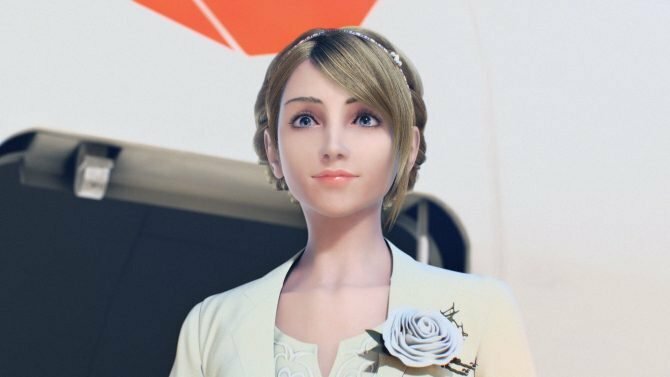 Another trailer for Ace Combat 7: Skies Unknown continues to show off the aircraft you will be able to fly in Project Aces return to Strangereal. 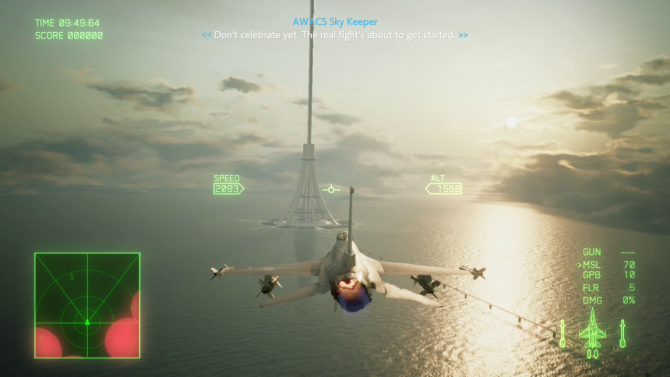 Ace Combat 7: Skies Unknown continues to receive new trailers showcasing the various aircraft players will be able to fly in-game, with the most recent being the F/A-18F. The first aircraft feature trailer was for the F-15C, and the second for the Typhoon jet. The F/A-18F is a aircraft originating in the United States from McDonnell Douglas and Boeing Defense, Space & Security manufacturers and was first introduced in service in 1999 and costs about $70.5 million per aircraft. It has appeared throughout most of Ace Combat’s history, first appearing in Air Combat, then Air Combat 2, Ace Combat 04: Shattered Skies, Ace Combat 5: The Unsung War, and Ace Combat Zero: the Belkan War. Iterations on the F/A-18F have appeared in more recent Ace Combat games such as Skies of Deception, Joint Assault, Assault Horizon, and Infinity. 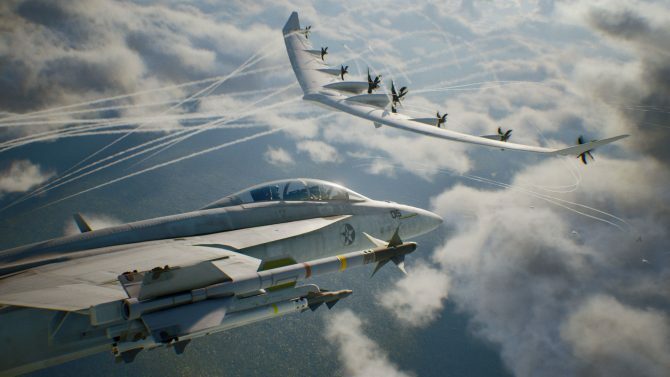 Ace Combat 7: Skies Unknown is set to release on January 18, 2019 for PlayStation 4 and Xbox One, with a PC port coming later on February 1. 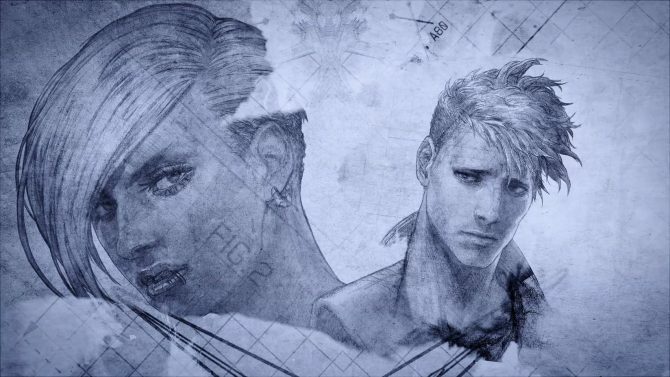 You can pick up the game via our handy Amazon link right now, as well as check out our interview with Producer Kazutoki Kono and check out the many trailers that have been appearing in the lead up to its release. A versatile carrier-based fighter capable of providing support for aircraft, ground forces, and ships. With better maneuverability at medium speeds than high-speed fighters, it is effective in air raids. Nicknamed “Super Hornet,” the craft is an improved F-Type. Judging by a new gameplay teaser video, Ace Combat 7 players will get to use UAV funnels soon.